I finally got a chance to see Spider-Man Homecoming this week. Would you believe, 3-4 weeks after the release on July 7th, that the theaters are still packed? They are. The first showing I tried to go to was a matinee during the week and it was sold out. My second attempt at a theater with plush reclining seats, I bought the very last seat in the theater! My favorite movie thus far is Spider-Man 2. There is something about that movie that really captures the silver age feeling of Spidey for me. I even love the corny part of the movie where Raindrops Keep Fallin on Your Head plays while Toby is acting all clumsy, because that song actually played on the radio at the time of those comics. Doctor Octopus worked well as a villain for Spidey and their battle among the skyscrapers and train was incredible. However, I think as a crowd pleasing movie, Spider-Man Homecoming may work the best of all of them so far! The filmmakers really achieved their goal of making a John Hughes film. There is even a blatant rip-off of a scene from Ferris Buller, so blatant they actually show a clip of it - while Spidey is running through backyards trying to chase a truck in the suburbs. There is a lot of humor in the movie which is appropriate to the character of Spider-Man. I wasn't crazy about GOTG2; it seemed like a sitcom to me, setup, joke, setup, joke. Here there are setups but they don't seem as forced. 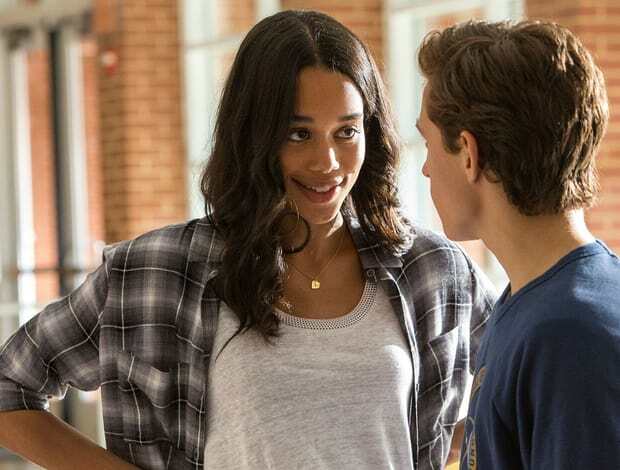 The multicultural depiction of the high school is wonderful, the young woman who played Liz Allen seemed a perfect way to allure Peter Parker. There was a twist about her I did not see coming. I was also very doubtful about Zendaya playing MJ but she was also very good in a mysterious way. I think if people are upset about the casting and ethnic changes of the characters, to enjoy they film you have to throw out all your preconceptions about how the classic comics worked. Fans of the classic Silver/Bronze age comics also may not be happy with Spidey's new high tech costume designed by Tony Stark. The suit has so many gizmos, the best one being that Spider-Man's eyes contract and expand just like he does in the comics. The suit also has an AI voiced by Jennifer Connelly (wife of Paul Bettany who is Jarvis / Vision), a drone (the spider emblem on his chest lifts off), trackers, taser webs, etc. He doesn't know what most of it really does, kind of like the 70s TV show The Greatest American Hero. If you stopped reading comics some time ago, you have no idea many of these ideas all came from the current writer of Spider-Man, Dan Slott. 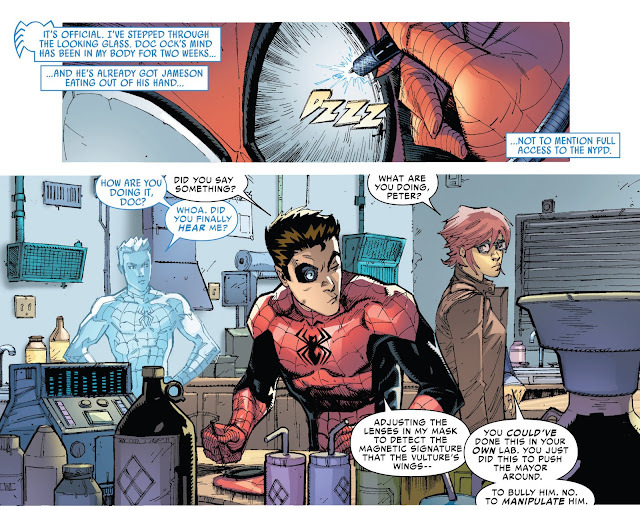 During the Superior Spider-Man saga, when Doctor Octopus took over Peter's body for a long time, he upgraded Spider-Man's suit to make it high tech and work with drones / bots, enhanced the webs, eye lenses, etc. It was a lot of fun because Otto looked at how Spider-Man was doing business and said, hmmm, this can all be improved! The current high tech shenanigans have carried on to the post-Superior series where Peter is running a multi-national high tech company. Many people hate these changes, but I think it's a sign of the times. The movie borrows from both Ultimate Spider-Man (Aunt May being younger/hipper; Ned, Peter's best friend) and Superior Spider-Man (the high tech stuff). It grounds the reality in this John Hughes version of Queens. But it makes us all the more excited to see the story unfold because it is integrated into the MCU now. So integrated, that the first few minutes details Peter's involvement in Captain America Civil War from his point of view with the iPhone documentary that he narrates. We get caught up on all that we need to know that way and also learn that Happy Hogan (played by Jon Favreau) is his handler. Tony Stark / Iron Man makes a few appearances. Now here is what I love about this movie, which has a typical plot, the hero coming of age sort of thing. Usually you have a mentor advising and cheering on the young hero. Tony plays this role for part of it, then he becomes a real jerk. The climax of the film has Stark changing his opinion, but he does it in a such a selfish, douche bag way, it's more realistic. The other part of the movie that really works is Michael Keaton as Adrian Toomes, the Vulture! I have always loved Michael Keaton as an actor. He has a charisma on screen that cannot be matched. At this point he has done everything in films: comedies, dramas, Batman, the terrific Birdman movie which won tons of awards years ago. 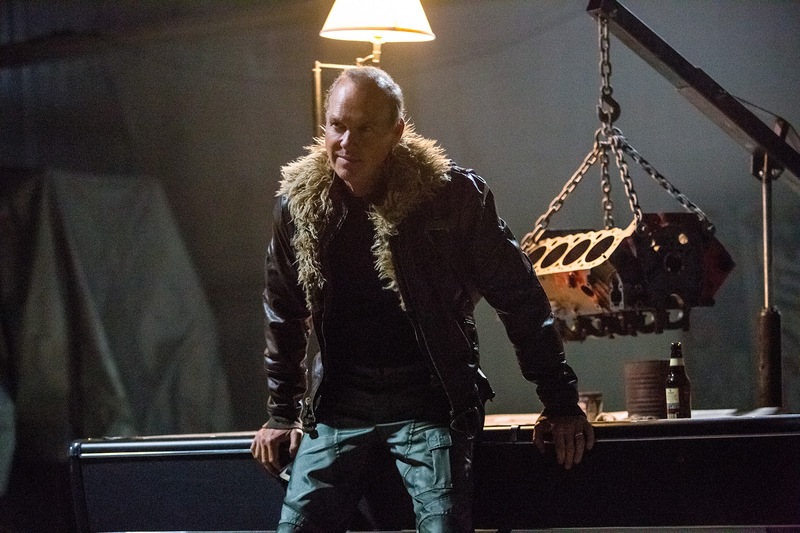 I think Toomes has the greatest reasoning to be a villain in the film: it's all because he got shafted by Damage Control in clearing out these alien artifacts left in the aftermath of the first Avengers film. Toomes lost a fortune there and he is determined to get it all back. You couldn't have this setup without having Spidey in the same universe as the Avengers. My favorite scene is with Tom Holland and Keaton in the car having a private talk before the Prom. He lays everything on the table to Peter and offers him a fair deal. If I were in Peter's shoes I might take it, but our hero is made of better stuff. What didn't I like about the movie? Not much, I was glued to my seat and had no urge to leave or look at my phone. But there was one thing - the new Spidey suit that Stark offers to Peter at the very end. I was horrified! I thought that Peter had better not wear that freaking thing. Hopefully it stays in storage. Nuff Said! The movie from the story review looks interesting so i must watch it. I am not sure whether i will like it the same level you do. Nice review. Pretty much exactly the way I felt about the movie. If you can separate the movie universe from the classic comics universe then you can enjoy it for what it is, which is a very fun and entertaining superhero movie. I also felt the same way about the Spidey / Avengers costume that is shown at the end of the movie. I was hoping it would stay in storage as well. Unfortunately however it looks like that it is the suit Peter will be wearing in the upcoming "Avengers: Infinity War" movie. Luckily it looks a little better in action than I thought it would. We'll just have to wait and see.